Shelumiel Abapo, CPA- June 10, 2017, 2:17 a.m.
Congratulations! You're living in a golden era of opportunity for online jobs in the Philippines. The increase in the number of online jobs posted by many global companies in recent years can be attributed to the expansion of the BPO industry. Now, unlike in the past, you can, in fact, get an online job working from the comforts of your home (or coffee store). As a result of this growing industry, more professionals and even college students try to search for available online jobs which they can do based on their preferences. One such preference is the ability to work at home. Having this kind of flexibility gives virtual employees an assurance that even if they are just at home, a coffee shop, or any place they find conducive, they are still able to earn good money. Just check out VirtualStaff.ph where literally thousands of Filipinos are actively finding and securing work from home jobs. As a result, more professionals and even college students try to search for available online jobs which they can do based on their preferences. One such preference is the ability to work at home. Having this kind of flexibility gives virtual employees an assurance that even if they are just at home, a coffee shop, or any place they find conducive, they are still able to earn good money. But one must not make the mistake that because it’s an online job, the company or client will not check on one’s credentials before getting accepted to the job. In order for you to successfully land a legitimate work-at-home job, checking at one’s own credentials is a must. The list below enumerates industries and career fields which offer legitimate online jobs in the Philippines. These are online jobs which you can do from the comforts of your home or in any place you find conducive for working. If you have any experience in any of these fields, you might want to try and apply to companies offering these kinds of online jobs. Content writer- There are a lot of online writing jobs intended for consumer magazines, posting blogs, and creating articles. Most often, these writers and editors work freelance and are given specific projects by their clients. Since this is a very versatile position, anyone could apply for as long he or she is proficient in the English language. There are clients however who might require their prospective employees to have knowledge on a specific area or industry to be able to write more technical articles. Home call center- Work-from-home call center agents usually are required to have prior experience in working at a call center. There are companies however who will hire applicants who only have retail experience. Having the right equipment is also required before one successfully lands a work-from-home call center job. Excellent verbal command of the English language is a must. Online transcription- There are three kinds of online transcription jobs offered to the public namely: general transcription, medical transcription, and real-time transcription. General transcription does not require applicants to have some training or certification. Any sort of recorded audio is assigned to be transcribed under this kind. As for medical and real-time transcription, applicants must first have the required training and certification before getting hired. These are more technical and would, therefore, require applicants to have the sufficient education and training. Online teaching- Since there are a lot of online teaching jobs being offered, the required experience also varies. Highly experienced teachers with a master’s degree and even individuals who have a teaching certificate to college students can apply for online teaching jobs in the Philippines. There is also a great demand for English as Second Language (ESL) teachers who will teach English to non-English speakers. Home-based medical jobs- A medical transcription job is not the only job being offered under the medical profession. There are companies who hire medical call center agents, nurses, and even physicians who shall give medical support through phone or online methods. Insurance jobs- Online jobs offered in the insurance industry varies greatly. Jobs such as underwriters, appraisers, nurse care managers, insurance agents, as well as IT and project management are offered by many insurance companies. Translation and language jobs- Individuals who are proficient in a foreign language such as Spanish or Chinese can definitely be employed as a translator for many companies. These are usually done by freelancers, but some companies prefer to hire home-based translators as full-time employees. Financial, accounting and bookkeeping jobs- A number of companies are offering online jobs in the field of finance, accounting, and bookkeeping. The jobs available are not only offered to Certified Public Accountants (CPAs) but also to individuals who have knowledge and experience in these following fields. Search engine evaluators- These evaluators work online as independent contractors. They are assigned to give feedback on whether search engine results are comprehensive, accurate and timely for the benefit of their users. Checking for spam results is also included since this greatly burdens many users. Search engine evaluators must, therefore, be familiar with the language and culture of search engine users to successfully accomplish this kind of online job. Web design and internet marketing- The rise of social media have brought in new online jobs being offered to the public. Those who have knowledge and experience in web design, public relations, and even in Search Engine Optimization (SEO) are encouraged to apply for available online jobs under this field. 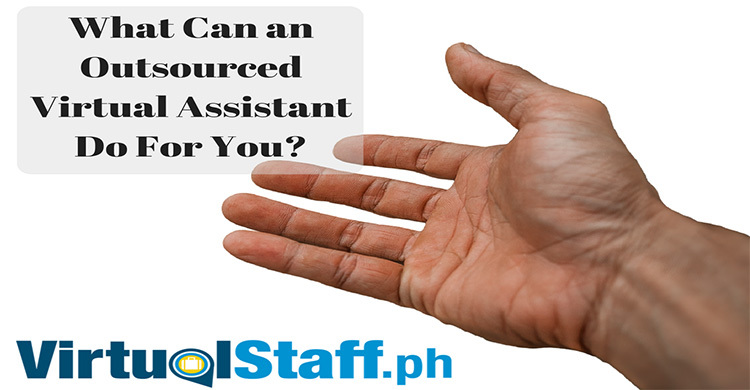 Virtual Assistant- One of the most popular online jobs for Filipinos is working as a virtual assistant. What is a virtual assistant or "VA"? A virtual assistant is many things, but most companies hire a virtual assistant to handle general tasks that might include basic graphics, admin, social media posts, email, customer service etc. You can view virtual assistant jobs for Pinoys by going to www.virtualstaff.ph and registering for a free job seekers account. To sum it up, the key to being able to find a good online job in the Philippines is to align one’s previous education and experience to the needs of the company being applied to. Just like any other job, having previous experience will boost one’s probability of getting hired for a legitimate work-at-home online job. 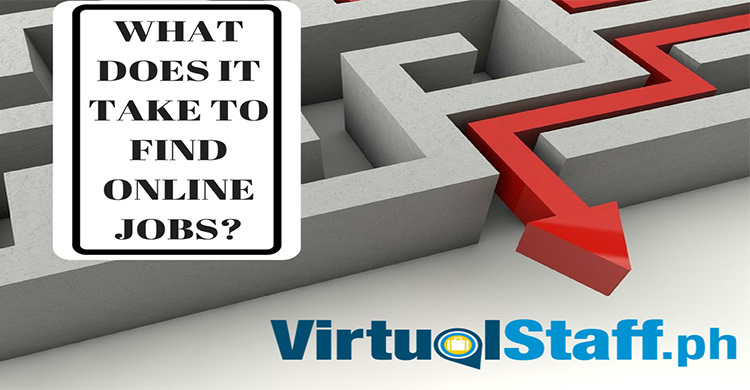 If you want to find online jobs in the Philippines go to www.virtualstaff.ph and apply today.